At Sheringham Masonic Centre we provide a well stocked Licensed Bar. We have fully equipped kitchen facilities with a resident caterer providing a range of meals from finger buffets to formal dinners. Flexible seating for up to 100 diners in either a ceremonial or more relaxed setting. 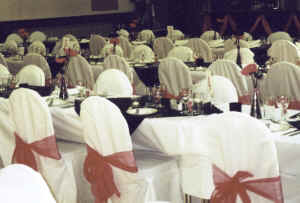 Seating can be relaxed to provide smaller table groupings, or arranged more formally for larger occasions. 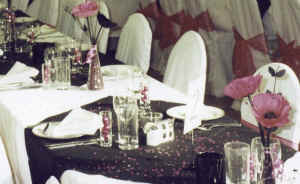 Wall drapes can be provided when arrangements are made for special occasions. The Masonic Centre is ideally situated on the edge of the Town of Sheringham in North Norfolk, opposite a large public car park. All this is provided at an affordable price. 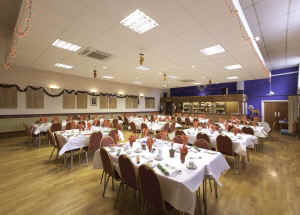 To view the Hall, check availability or obtain further information, please contact us.